✓ Forming ordered pairs from given patterns. It is separated by standard and includes a set of task cards for each standard in the O.A domain. 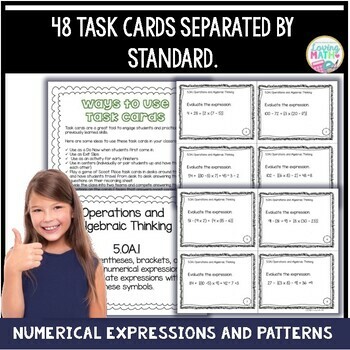 Includes answer key and recording sheet for each set. 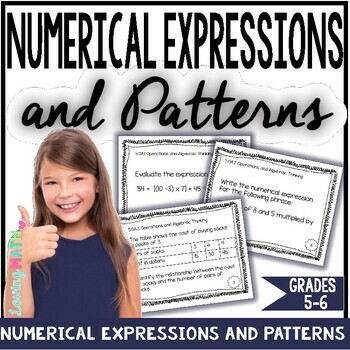 ♥Writing Numerical Expressions Headbands Game. ♥Fractions Task Cards 5th Grade. ♥Numbers and Operations in Base Ten 5th Grade.